What does Giannis mean, details, origin, short & easy attributes? Giannis pronunciation in 20 different native languages. Yannis, Yiannis, or Giannis (Î“Î¹Î¬Î½Î½Î·Ï‚) is a common Greek given name, a variant of John (Hebrew) meaning "God is gracious." Variants include Ioannis (Î™Ï‰Î¬Î½Î½Î·Ï‚), Yanni (Also Janni), Iannis, Yannakis, Yanis, and the rare Yanno, usually found in the Peloponnese and Cyprus. Giannis is baby boy name mainly popular in Christian religion and its main origin is . Giannis name meanings is Yahweh is gracious. Other similar sounding names can be John. Popular personalities with Giannis Name. 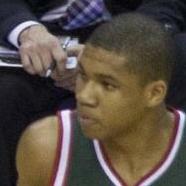 Giannis Antetokounmpo is a basketball player for the Milwaukee Bucks and Filathlitikos in the National Basketball Association. He has had major accomplishments since 2012. Giannis was born on December 6th, 1994 in Sepolia, Athens, Greece. 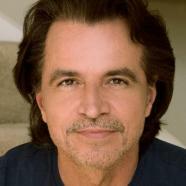 Yanni is a contemporary instrumental, instrumental, crossover, world, new-age, crossover music, world music, and new-age music composer, pianist, music producer, and record producer. He plays Piano and Musical keyboard. He holds the title Nostalgia", Butterfly Dance", Truth of Touch", Acroyali/Standing in Motion", and Santorini". He was most active from 1980 to present. Yanni was given the name Giannis Chrysomallis on November 14th, 1954. 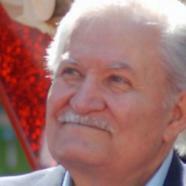 John Aniston is an actor. He was most active from 1962 to present. John was given the name Giannis Anastasakis on July 24th, 1933. John is also known as John Anthony Aniston. 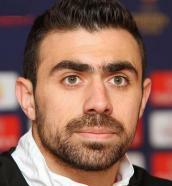 Giannis Gianniotas is a soccer player for the APOEL FC, Aris Thessaloniki F.C., Fortuna Dusseldorf, Asteras Tripoli F.C., Olympiacos F.C., Greece national under-17 football team, Greece national under-19 football team, and Greece national under-20 football team. Giannis was born on April 29th, 1993 in Neochori, Chalkidiki, Greece. Giannis Maniatis is a soccer player for the Standard Liege, Olympiacos F.C., Thiva F.C., Panionios F.C., Greece national under-21 football team, and Greece national football team. Giannis was born on October 12th, 1986 in Livadeia, Greece. Giannis is also known as YYYYYYY YYYYYYYY (Greek). Giannis Alafouzos is an owner of ermis maritime holdings ltd, owner of skai group, publisher of kathimerini, owner of sortivo international ltd, skai group, and kathimerini. He holds the title Businessman and Businessperson. His most notable accomplishments were from 2012 to present. Giannis was born in Santorini. Gkionakis Giannis was an actor. Gkionakis was born in 1922 in Athens. He died on August 25th, 2002. Papadopoulos Giannis is an athlete for the GS Ilioupolis.